Streaming video is great, but sometimes it’s more than you need—or more than you can run, if you're away from an Internet connection. If you like to listen to podcasts, lectures, or other audio while you drive, work, or exercise, you should be able to take advantage of the huge amount of content published online every day. 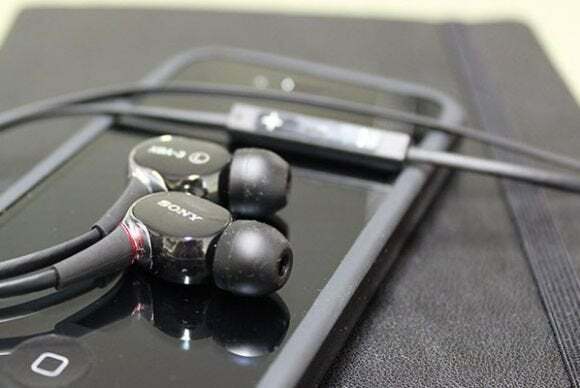 In this article, we’ll show you how easy it is to download just the audio file from any streaming video and save it to your hard drive for offline listening. If the stream you want to capture is on YouTube (and let’s be honest: most of the time it will be), you can save time and use a tool designed specifically for that platform. There are a number of apps that will do what you want, but a great, free choice is Peggo.co, a web app that makes it easy to capture audio from a YouTube video. Ripping audio from a streaming video using Peggo.co. From and To: Drag the sliders if you don’t want to record the entire video. 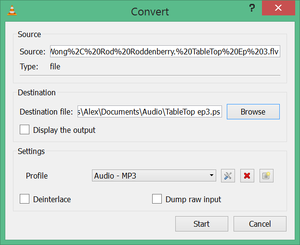 Title and Artist: Use these two input boxes to choose a filename for your download, as well as to set the artist metadata—very useful for any software that organized media files. 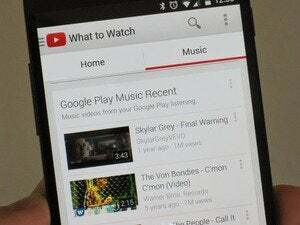 Remove Silence: This option just clips any silence from the beginning or end of the video. A lot of YouTube videos have a splash screen at the beginning or end that won’t come across well in an audio-only file, so it’s worth leaving this checked. Normalize: Keeps the volume of the video in a consistent range, so it won’t sound out of the place with other audio files. And that’s about it—click on the Record MP3 button to save the audio stream to your disk. 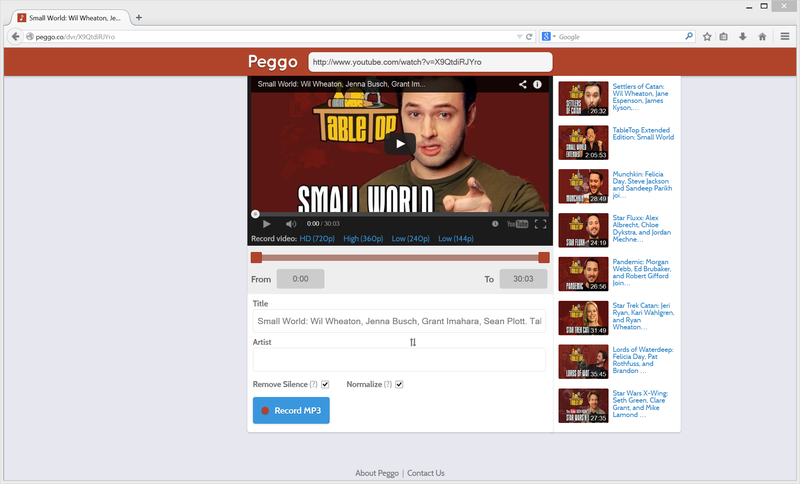 Incidentally, if you want to record a video, you can do that from the same Peggo.co interface. Just click on one of the video links directly below the video window. Note: I was having difficulty getting Peggo.co to correctly download files in Chrome until I temporarily disabled my extensions. This fixed the problem, and I had no issues with either Internet Explorer or Firefox. If you want to grab audio from a source other than YouTube, your options are a little more limited. I haven’t found a good audio-only downloader for non-YouTube videos (if you have, please share in the comments), but there are several general-purpose FLV ripper extensions that install into your browser and easily save streaming video as a file on your disk. If you use Chrome, a good option is Video Downloader. And if you use Firefox, try DownloadHelper. Using VLC to rip the audio track from a streaming video you've downloaded to your PC. In the next menu, click on the Add button next to the File Selection box and browse to your downloaded FLV file. 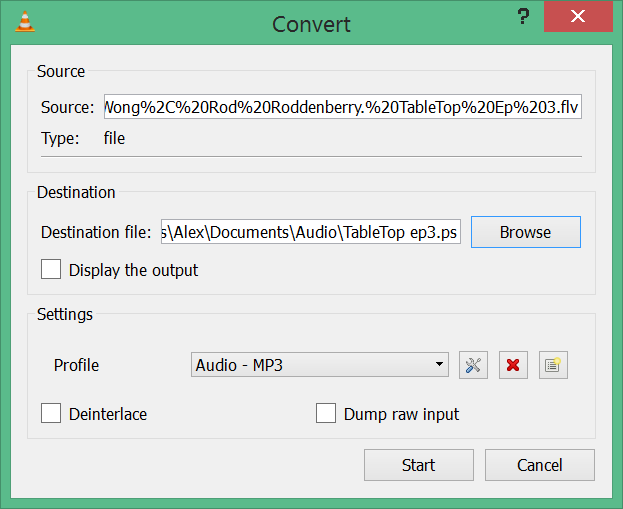 Click Ok.
Next, click Browse next to the Destination box, and choose a location and file name for your completed audio file. VLC will open a new playback window, with the progress bar displaying how far along the transcode is. When it’s complete, you’ll find your finished MP3 on your hard drive wherever you told VLC to save it.